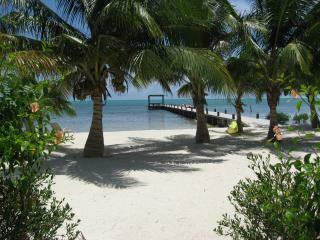 The Island Cottage "Our Belize Vacation" - "Our Belize Vacation"
Welcome to our island cottage, a cozy retreat just 3.5 miles south of San Pedro Town on beautiful Ambergris Caye. 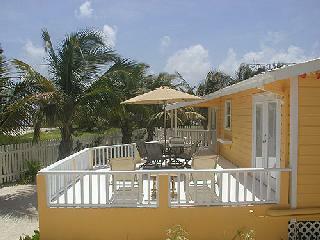 The Island Cottage is set in a quiet neighborhood only steps from the warm water of the Caribbean. 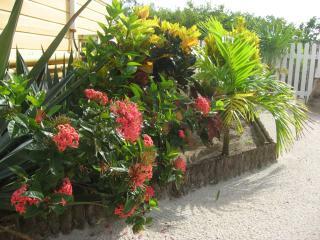 A perfect place for relaxing and soaking up the island sun. 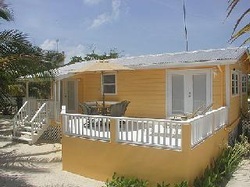 The Island Cottage is a one bedroom, one bathroom home with comfortable accommodations for two adults and one child. 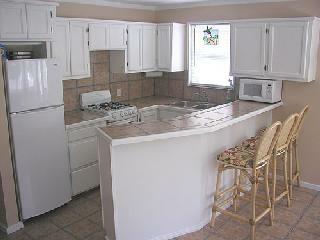 The large fenced yard is only 100 feet, or one lot back, from the beach. 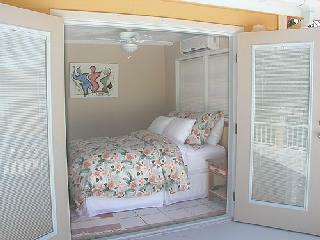 The air-conditioned bedroom has an inviting queen size bed topped with quality linens, feather pillows and duvet. An armoire and dresser provide plenty of space for storing personal belongings. French doors lead out to the large sun-drenched deck. 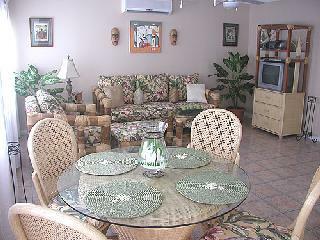 The main room features a well equipped kitchen, dining area and comfortable living area with sofabed. The room has air conditioning but you may prefer to open the large windows that line the front of the house and let in the gentle Caribbean breeze.